Live at the Britannia Arms! 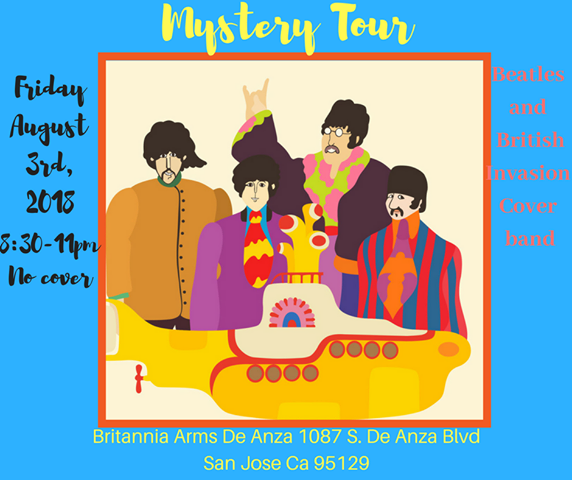 Mystery Tour, Beatles and British Invasion Cover Band plays at the Britannia Arms! This time, Mystery Tour has an awesome guest drummer and a new bassist. Stay tuned for more details!